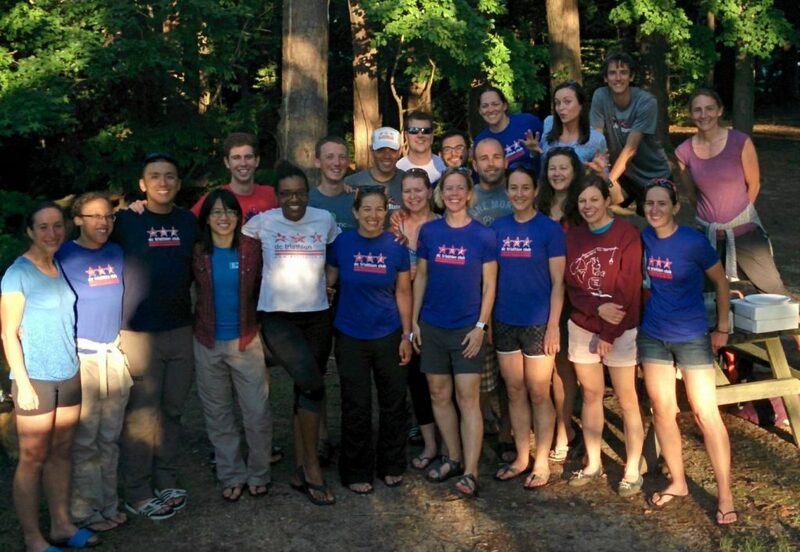 Join DC Tri Club for our first training weekend of the year at Elk Neck State Park. It is near the site for Diamond in the Rough triathlon, so come get some train on the same terrain we'll be racing on a few weeks later. Registration: Register here. The registration cost includes campsite rentals. No need to book your own! Volunteer: If you are able to help coordinate the training/camping weekend, please let us know and email training@dctriclub.org! Details: A full schedule will be shared with all participants 2 or 3 weeks prior to the weekend. Arrival is any time after 3pm on Friday. Saturday will include a group ride, run and afternoon open water swim opportunity. Sunday workouts include a ride or run based on training plans. Join DC Tri for this is a very fun weekend full of camping, with a great open water swim in the crisp and clean Deep Creek Lake, rides on the moderately/very challenging terrain, and opportunities to run around the park and get great views all while escaping DC's heat and humidity. All skill levels welcome! 217 queries in 2.379 seconds.